One of the most common questions any pediatrician gets is: “How can I help my baby sleep better?” The answer is so complex and specific to the baby, parents, family, and culture that I hesitate to even write about baby sleep! It just isn’t a one-size-fits-all thing. I’ve had 3 very different sleepers. The first – shall we call him devil baby? – cried ALL the time. He needed to be held, rocked, and walked. His dad and I were constantly exhausted. Baby number two was a great sleeper: feed her and she slept, easy-peasy – that is, until I went back to work when she was about 4 months old. Then she decided to sleep all day and nurse all night. Number three was a dream. From the very beginning, and to this day, he wanted his own space to snuggle up and go to sleep on his own. No complicated routine – just put him down and walk away. They don’t make many babies like him! To answer that question about your baby’s sleep, it may help to know some basics about sleep and the options for helping your child – then you choose a path that fits your family. Babies 4 months to 1 year need 12 to 16 hours of sleep (naps and nighttime) per 24 hours. Normal developmental stages and events (weaning, learning to pull up, stand or walk, teething, illness, travel, etc.) can affect babies’ sleep. The period of struggling to sleep won’t last forever. On average, babies complete a sleep cycle (fall asleep, light sleep, deep sleep, active sleep, wake up) every 60 to 90 minutes. That’s right – it’s normal for babies to wake up throughout the night. In fact, it may help to think of infant sleep as a series of little naps. The trick is to help your child learn how to put themselves back to sleep when they wake up after one of those “naps.” And that can be hard if all they know about falling asleep is having you feed or rock them. They associate you with going to sleep, so when they wake up, they cry for you to soothe them back to sleep. Give them a chance to practice falling asleep on their own in their own place. Feed them, change them, and then lay your baby in their crib awake with a pacifier if they take one. If they fuss a little, wait and see if they can calm themselves. If they can’t, you may want to consider sleep training (for babies over 4 months old), and there a few methods that can work. 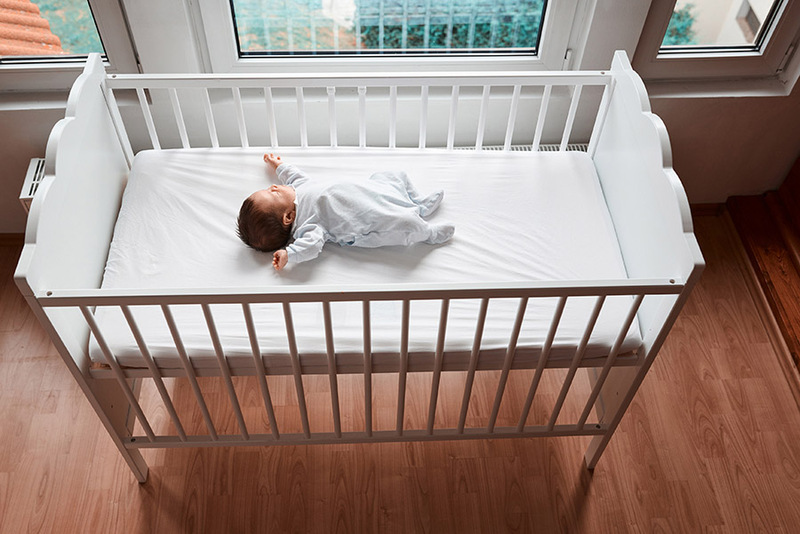 One word about safety – babies should sleep alone, on their back in a safe, boring crib. I loved snuggling babies in my bed as much as any mother but – I have also seen the tragedies that can come from co-sleeping or face down sleeping. I don’t want to see them again. Please enjoy feeding your baby and holding them in your bed – but when the time comes for sleep, lay them face up in their crib. With my first child, I never felt able to let him “cry it out,” but with the second, I ended up using that method almost without meaning to. One night after putting her down, I was giving her older brother a bath when she started crying. Of course, I couldn’t leave him alone in the tub, so she cried while we played. Then, after a bit, I realized all was quiet – she had fallen asleep – and slept through the night! Whatever method you choose to help your baby sleep, know that you’re not alone – getting babies to sleep is hard and parenting is exhausting! Remember, you’re doing the best you can every day.